Based on personal injury claims laws in the US and generally. There are a lot of different ways you might end up getting hurt, and not all of them are physical. It’s important that you understand the different kinds of claims and cases available to you – and the different types of claims that could be directed at you, as well. 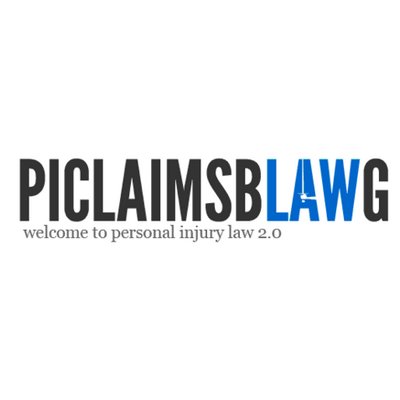 Note that personal injury claims can also be categorized based on the type of injury – though for the purposes of this piece, we’re going to focus on cause. Before we get into specifics, it’s important to understand that each type of injury claim tends to fall into one of three broad categories. The first, negligence, asserts that a defendant’s inaction caused injury to the plaintiff. The second, strict liability, says that the person was responsible for preventing injury, and failed in that responsibility – this holds true even if no negligence is evident. 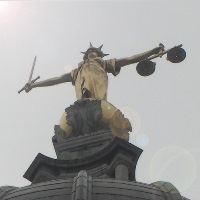 The third type will be discussed in greater depth later in the piece, and concerns cases where a defendant intentionally causes harm to a claimant. The most common personal injury case in the United States, motor vehicle accidents are only subject to a personal injury claim when there’s clear evidence of negligence on the part of the defendant. Note that some states have a “No Fault” clause in place which require drivers to collect from their own insurers instead of filing a claim in court. Texas is not among them, but your state might be – when in doubt, check with a personal injury attorney. Motorcycle accidents are a unique subclass of vehicular accidents, with higher magnitudes of injury and greater difficulty in determining liability. Medical malpractice cases tend to be among the most complicated personal injury claims. First, each state has its own set of laws pertaining to a physician’s duty of care and level of liability. Second, determining the difference between legitimate negligence and simply a bad patient outcome can be difficult – in some cases, no matter what a physician does, they are unable to help their patient. Moreover, determining who specifically is liable can be a challenge as well – it’s not always the doctor, in some cases other hospital staff or even entire institutions can be held responsible. Slip and fall cases are predicated on the assumption that a property owner has a legal duty to keep their property free of hazards such as snow, ice, and debris (to name just a few). Whether or not an owner is liable for an injury on their property is a matter of much contention, and as with the other claims, varies by state. In Texas, for example, filing a claim either with a property owner’s insurer or as a lawsuit must be done within two years of the injury. Additionally, if you are found to bear more than 50% of the blame for your injury, you cannot receive compensation for it. Workplace accidents and injuries are generally handled by worker’s compensation. When you are injured in the workplace, you must immediately notify your employer so that they can file a claim and help you recover your medical bills. If the injury puts you out of commission for a particularly long time, you can also file for disability payments. The exception here is if your injury occurred due to unsafe working conditions – if, for example, your employer knowingly instructed you to use cleaning chemicals without proper safety equipment. In this case, you will want to report the incident to the Texas Department of Insurance’s Safety Violations Hotline. You may also need to contact an attorney if your worker’s compensation claim is challenged by your employer. If a product does not work as intended to the extent that it causes you some form of injury, you have the right to make a product liability claim. Generally, these are class-action lawsuits, as was the case with Ford/Firestone several years ago. It is, after all, highly likely that a product which caused you serious injury is defective, and has injured others. In this injury case, you don’t need to prove that the company was negligent. Instead, you simply need to demonstrate that the defective product was responsible for your injury. Not all injuries are physical, and libel or slander can be just as harmful to your well-being as a serious fall, albeit in a different way. Unfortunately, many people misunderstand precisely what these two terms mean, and misapply them when seeking recompense. Defamation only occurs when the statements a defendant has made are demonstrably untrue, and those statements have noticeably impacted the plaintiff’s reputation. If, for example, a customer was cursed out by an employee at a restaurant and mentioned that in an online review, that is not defamation. Texas law also distinguishes defamation further, with a division between public and private figures. If you are a public figure pursuing a defamation case, you’ve a harder road ahead. You need to not only prove the statements damaged your character, but also that there was actual malice between them – that is, they were intended to harm your reputation, and made with full knowledge that they were false. In the case of private figures – those with no involvement in the public eye whatsoever – it is enough to simply prove that a statement was made without verifying whether it was true or false. The owners of a pet – no matter what kind of pet it happens to be – are responsible for all damages that pet causes to others. Now, given that animals like fish, birds, and cats are relatively unlikely to cause serious injury to another individual, animal-related cases most often surface with negligent dog owners. Texas is what is known as a “one bite rule” state. What that means is that if you are injured by an animal, you need to prove that either the animal’s owner knew the animal had bitten someone or acted aggressively in the past, or that the owner was negligent in preventing the bite from occurring. It is important to note that this rule does not apply to trespassers. If someone is seriously injured by a dog while trespassing on another person’s property, it is unlikely the owner will be found liable. Last but not least are physical injuries that are directly and maliciously caused. Known as intentional torts and including things like assault and battery, these almost always result in a criminal case against the perpetrator. However, in Texas it is also possible to file a civil suit against an attacker to seek recompense for medical expenses, property damage, lost time at work, or all of the above. Where these cases get complicated is that you’ll be suing the offender directly. Their insurance company won’t be paying – they’ll usually have to compensate you out of pocket. This means that for most intentional torts, it is difficult to justify a lawsuit. This is only further compounded by the fact that damages are often difficult to prove except in the most severe circumstances. There are many different kinds of personal injury claims. It’s important that you understand what kind of claims you can stake – and what claims you should. Because knowing the different courses of action available to you ensures you’re that much closer to receiving proper compensation for your hurt.